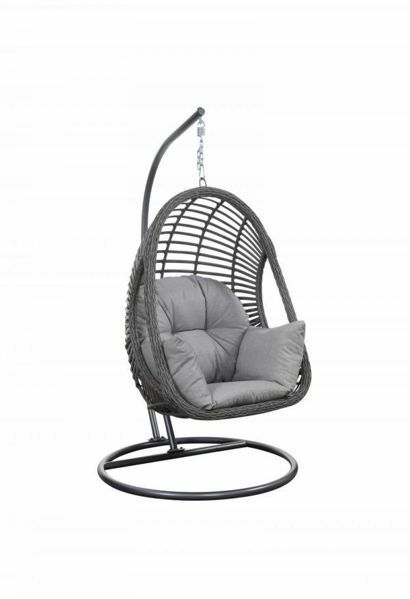 Cool and casual, the San Marino hanging chair is the ultimate in chill. Just imagine floating in the air while you relax reading your favorite book or watching a beautiful sunset. Its unique ultra thick outdoor wicker weave in natural grey tones, and super plush cushioning is sure to be a stand out in any outdoor area.